Greece is really killing the vibe. Many global stock markets are trading at historic highs, but the threat of Greece defaulting on its debt in the next few weeks has hurt stock market sentiment. 1. Greece is the word: The crisis in Greece is coming to a head. The heavily indebted country needs to repay the International Monetary Fund nearly 1.6 billion euros ($1.75 billion) in June -- starting with 300 million euros on Friday. Many doubt its ability to come up with the money. Failure to pay could trigger a run on Greek banks by depositors who worry that their cash may lose value if Greece is forced to leave the eurozone. German Chancellor Angela Merkel held emergency talks with the IMF and European Central Bank late Monday to accelerate efforts to resolve the crisis. "Traders' patience is at breaking point, and without a deal on the table for Greece the prospect of a default is growing," said David Madden, market analyst at IG. 2. Stock market overview: U.S. stock futures are slouching, and all European markets are pushing lower in early trading. Some key stock markets in Europe are declining by 1% or more. And European and U.S. government bonds are falling too. Asian stock markets mostly closed the day with losses. On Monday, the Dow Jones industrial average added 30 points, the S&P 500 inched up 0.2% and the Nasdaq was up 0.3%. 3. Autos in focus: Congress holds a hearing related to the Takata airbag recalls at 2 p.m. ET. Takata executive Kevin Kennedy will take questions. Shares in the Japanese auto parts maker Takata (TKTDY) have plunged by over 40% in the past year as authorities have forced the company to recall its airbags. Roughly 34 million U.S. cars are affected by the recall. 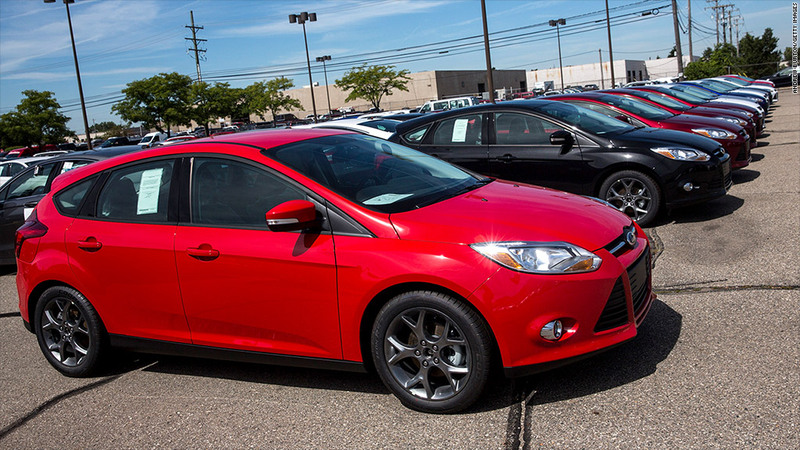 U.S. automakers are reporting monthly vehicle sales figures through the day. Analysts expect the overall number will be strong based on pent-up demand and lower oil prices. 4. Big tobacco hit: Watch trading in Big Tobacco on Tuesday. Shares in British American Tobacco (BTI) are off by about 2.5% in London after a Canadian court ordered its Canadian subsidiary -- Imperial Tobacco Canada -- and two other firms to pay billions of dollars over two class action lawsuits. Japan Tobacco (JAPAY) shares fell about 2% in Tokyo. Philip Morris International (PM) is the third company affected by the suit. 5. Inflation is back in Europe: The threat of deflation has receded further as official data shows inflation in the eurozone edged up by 0.3% in May. It was zero in April. 6. Earnings: Cracker Barrel (CBRL) and Dollar General (DG) are reporting ahead of the open. Guess (GES) will report after the close.